If you measure the Earth’s rotation with respect to the stars you get 86164.098903691 seconds per rotation, and if you do the same for the Earth orbit around the Sun, you get 31558149.76… sec. Which means that, with respect to the stars, the Earth rotates 366.25636623 times while it orbits the Sun once. This means that there are 366.25636623 stellar days to the sidereal year This is at least one whole “day” more than the 365.25 we came up with earlier. So where does this difference come from? You may have noticed that the length of a stellar day differs from what we normally consider as a day of 24 hrs, with 60 min hrs and 60 sec minutes which works out to 86400 sec, and is a almost 4 minutes longer than the stellar day. This is because our 24 clock is based on the “Solar day”, or the time it takes for the Sun to go from noon on one day to noon of the next, and this time period is effected by the Earth’s orbit around the Sun. In the time it takes the Earth to make one rotation with respect to the stars, the Earth travels a bit under 1 degree around the Sun. So a spot that starts directly under the Sun will not be so 1 stellar day later. This means that the Earth must continue rotating a bit longer (~ 4 min) to finally return that spot to directly under the Sun. So it turns out that 1 solar day equals 1.002737803 stellar days. So now we can work out that there are 365.2563662 mean solar days to a sidereal year, which is slightly more than the 365.25 days per year we estimated earlier. The Gregorian calendar, which is now used in most of the Western world is a result of such fudging. The Gregorian calendar is accurate to within 1 day in several thousand years when it come to keeping the calendar in step with the seasons (The aim of most calendars). To accomplish this, leap days were eliminated on century years that were not evenly divisible by 400. (1900 was not a leap year, but 2000 was.) So every 400 years there are 97 leap days added for a total of 146097 days vs 100 leap days for a total of 146100 with the Julian calendar. But hold on. With 365.2563662 day to a sidereal year, in 400 sidereal years you end up with 146102.5465 days or over 5 days more than accounted for by the Gregorian calendar and 2.5465 days more that accounted for by the Julian calendar. Which means if we want to keep step with the sidereal year, then the Julian calendar is a better fit than the Gregorian calendar and in order to make it an even better fit we would have to add more leaps years not fewer. But the Gregorian year is a closer fit to the change of the seasons, why is it a worse fit to the sidereal year? The reason is that the sidereal year and the seasons do not keep in step. To understand why this is, we need to look into what causes the seasons, and this is the tilt of the Earth’s axis with respect to the Sun. When the Northern hemisphere leans toward the Sun we have Summer, and when the Northern hemisphere leans away from it we have Winter. The moment the Northern hemisphere is inclined at its greatest to the Sun is call the Summer solstice and when it is inclined away by the greatest amount, it is called the Winter solstice. The Autumn and Spring (or Vernal) equinoxes are when the tilt is neither towards or away. The time period between Vernal equinoxes is called a tropical year. Because during this period the Sun goes from being directly overhead the equator at noon to overhead the Tropic of Cancer, to over the equator, to over the Tropic of Capricorn and finally back to the equator again. This is also the seasonal year and so the Gregorian calendar is designed to fit the tropical year. Now if this were all there was to it, and the Earth’s axis always pointed in the same direction with respect to the stars, the seasons would keep in step with the Earth’s trip around the Sun and the tropical year and sidereal year would be equal in length. But as we saw above, this isn’t the case. The truth is that the Earth’s axis doesn’t stay fixed with respect to the stars; It “wobbles” like a spinning top. This wobble is called precession. A spinning top precesses because it is trying to fall over. Gravity pulls on it and applies a torque to the axis of rotation. The top, in turn tries to preserve angular momentum and the torque is converted to a precession of the axis. With the Earth, gravity is the culprit also, Both the Sun and Moon (and the other planets to a certain degree) exert a gravitational effect on the Earth, each pulling on the far side a little less than the near side. If the Earth was perfectly spherical, this would not matter, but the Earth is a slightly oblate spheroid. The effect of this gravitational difference across the Earth is that both the Moon and Sun exert a torque on the Earth which tries to align the equatorial bulge with the planes of the respective orbits. The combined torque exerted by both these bodies has the same effect as the gravity trying to topple over the spinning top, and causes the spinning Earth to precess. The resulting precession causes the Earth’s axis to trace out one complete circle with respect to the stars every 25770 years. This means if you started with the Northern hemisphere leaning towards the Sun, after the 12885 sidereal years, the Earth’s axis will also have precessed ~180 degrees with respect to the stars and you will have the Northern hemisphere leaning away from Sun after those 12885 sidereal years. Thus with a calendar based on the sidereal year, the seasons would slowly drift with respect to the calendar, and you’d eventually have Summer weather occurring in December. The end result is that the tropical year is slightly shorter than the sidereal year, being 365.24219 mean solar days long vs. 365.2563662 mean solar days to a sidereal year. 365.2563662 times 400 equals 146096.876, which is very close to the 146097 days in the Gregorian calendar for the same period, which is why it is such a better fit. This difference of 0.0141762 days per year also leads to what is known as the precession of the equinoxes. If we compare the relative position of the Earth at the Vernal equinox with respect to the stars, we find that it changes over time. Further, this means that not only does the night sky change change day by day, it also changes over the years. On any given date, the night sky changes slightly from year to year. It isn’t much and isn’t really noticeable from one year to the next, but over the course of an average person’s lifetime it works out to being a shift of a bit over twice the width of the full Moon. 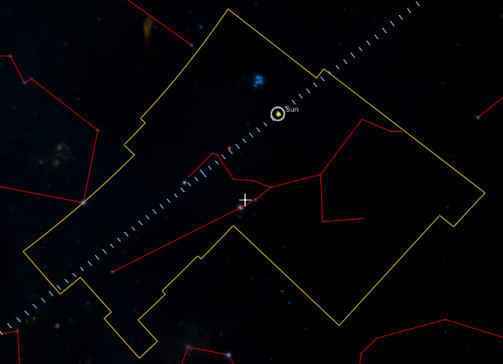 This also means that the position of the Sun with respect to the stars on a given date as seen from the Earth also changes over the years. In the time since the dates for the astrological signs were established, the Sun has moved an entire Zodiac sign. Thus, during the Summer solstice this year, instead of just entering Cancer as the astrological dates suggest, the Sun is just leaving Taurus and entering Gemini. (So if the the Tropic of Cancer had been named today, it would have likely been called the Tropic of Gemini and the Tropic of Capricorn would be the Tropic of Sagittarius). So now we can finally answer the question: How many days are in a year? Considering the 2 different “years”, sidereal and tropical, and 3 different “days”, stellar, solar and sidereal a list comparing them all would look like this. 366.2564018207 sidereal days to a sidereal year. I already mentioned that the Earth does not orbit in a perfect circle but in an ellipse, with a perihelion and aphelion. The time it takes for the Earth to go from perihelion to perihelion is an “anomalistic year” (because the angular distance between a planet and its last perihelion is called the anomaly). Because the Earth’s orbit is subject to the gravitational tugs of other bodies in the Solar system, it undergoes a precession so that the perihelion shifts a bit over time with respect to the stars. Thus the time it takes for the Earth to go from perihelion to perihelion is just a bit longer than a sidereal year, which in turn is longer than a Tropical year, making the anomalistic year 365.259636 mean solar days long. This also means that the perihelion date changes slightly from year to year, or by about 1 day every 57 years. So for those of you lamenting those long Winter days in the Northern hemisphere, take heart, in 10,000 years or so they will be a bit shorter as the perihelion shifts to the Summer months. To make things worse, the rotation rate of earth is not constant. The effect can be up to one second per year. Over longer timescales, the days get longer by about 2.3 milliseconds each century, currently with a lower rate of 1.7 ms as some continental masses still move around related to the last ice age. To keep atomic clocks in sync with the position of the sun, we frequently need leap seconds, and we will need more and more in the future. 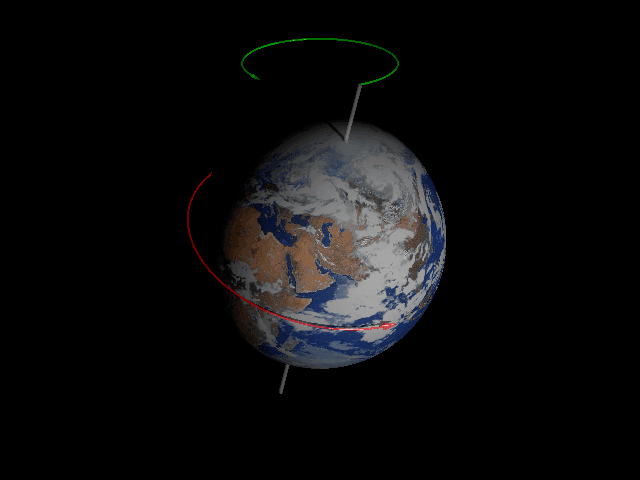 [QUOTE=”mfb, post: 5118871, member: 405866″]To make things worse, the rotation rate of earth is not constant. The effect can be up to one second per year. I guess we just have to wait for the Kilogram, Ampere and Kelvin to get a much needed change in definition to one in terms of (preferably dimensionless) fundamental constants. [QUOTE=”PWiz, post: 5118877, member: 536763″]Well thank god they realized the slowing rotation rate of the Earth in the 60’s and changed the SI definition a second. :rolleyes:[/quote]Well atomic clocks would run more stable than Earth either way. But frequently tuning them would be really messy and make astronomic measurements weird (“and then we have to account for the longer seconds in 1994 to compare the results”). [quote]I guess we just have to wait for the Kilogram, Ampere and Kelvin to get a much needed change in definition to one in terms of (preferably dimensionless) fundamental constants. [/QUOTE]You need constants with dimensions to fix units. Dimensionless constants (in SI) do not allow to define things like kilograms. Ahh, right, silly me. But incorporation of the fundamental constants in SI definitions is definitely the need of the hour. Three historical definitions of “day” are given, but the currently excepted definition is not included i.e. 86,400 SI seconds where the SI second is based on the hyperfine transition frequency of the caesium atom. Well, try this. Figure out the EXACT way that they determine when Easter is each year. And, no, it has little to do with the Vernal Equinox. It has something to do with “The Golden Number” (which has a lot to do with astronomy). This was so confusing that the various churches (Catholic, Anglican, etc.) would print the day Easter falls on for a large number of years in the Common Prayer Book of the ordinary Christian (Easter is by far the most important Christian holiday). Excellent post. I’d like to point out that we live in a very special time during the 26,000 precession cycle where we have the brightest star that it’s possible to have as the North Star which is very close to the actual north pole, this lasts about 200 years before drifting away. In the past they must have thought there was only 360 days in a year, that’s probably why we’ve got 360 degrees in a circle? The Babylonian calendar used lunar months, which vary from 29-30 days each, along with an intercalary month when necessary. The years wouldn’t have been 360 days long as far as I can tell.